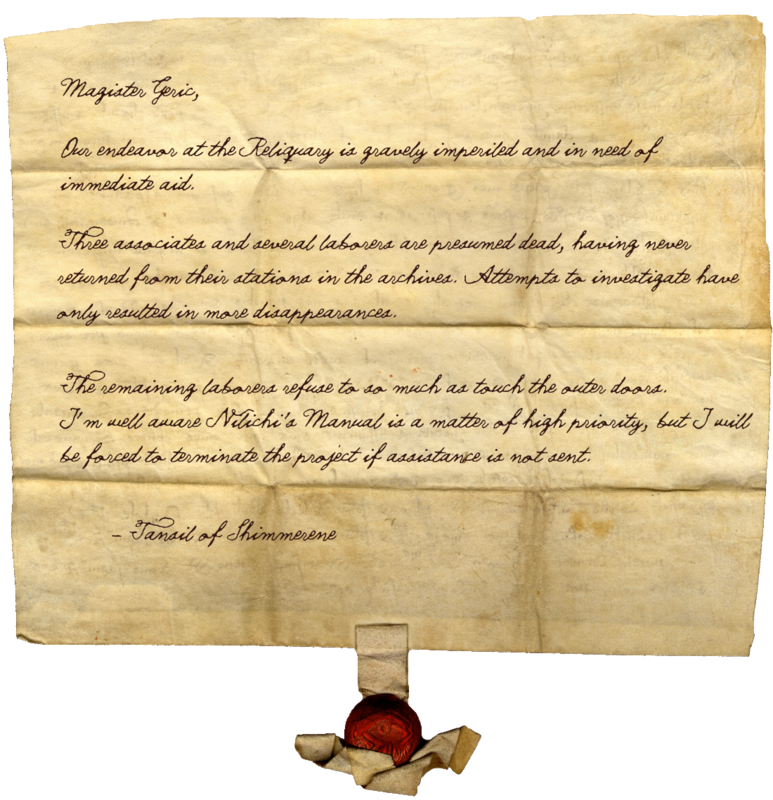 A troubling letter has arrived at Elden Root Mages’ Guild, prompting discussion on the state of the Reliquary of Stars excavation. 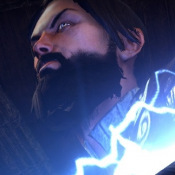 Varlynd Emrys, "Look upon me and heed well the price of Daedric power." Parsífal Eight-Fires, "Harmony among the people of Tamriel is the only music that matters." Aelstan Gallowgrove, "Stories are peculiar creatures, full of mischief and magic." Some curious news from some of the well informed in Matiisen. The crime rate has increased in Matiisen as several murders and break-ins have occurred in recent weeks. Rumor has it that an upcoming criminal organization known as The Summerset Syndicate may be to blame. The garrison has been bolstered by new recruits from the Auridon Marines to combat this spree of crime. The Aldmeri Intelligence Corps, headquartered at the barracks in Mathiisen, has certainly become aware of the increased local criminal activity and will be looking into it further. Within the sea-side city of Woodhearth, there are pages tacked up in taverns and on walls; some might see a one-eyed altmer with a seemingly permanent frown tacking them up, the stack tucked lovingly in the crook of her arm. 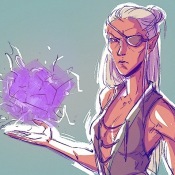 She won't make eye-contact with those who pass by, and if confronted by the page's contents, her chin lifts stubbornly and her one orange eye seems to blaze - "Talk to Jo'vassa or Kalinor." She growls and pushes on. Whatever agenda this mer is promoting, she hardly seems the most personable ambassador of it; still, the rigidity of her spine and the fierceness of her face betray her passion. Beneath the wide wings of the Dominion's Eagle, all must stand together or be destroyed as individuals. Though each of us is but a grain of sand against the mighty storm of our enemies, together we may form a stone wall! We stand fast against Daedric incursions and false Emperors clutching for the ruins of a once-great Empire, determined to force us back, to push us down and to make us submit! Will we allow this? No! The Eagle does not bow and scrape! She rises up and drives them back - she takes what is hers and the proof of her sovereignty is the unity of her people. It is to each of us to stand together, my friends, or to fall. Will you be a grain of sand, or will you be a wall? Rumor has it that the Muckwater Tavern south on the coast near The Gray Mire is almost finished. Construction has been going on for months as interested parties have sent supplies and funds to The Gray Mire settlement. 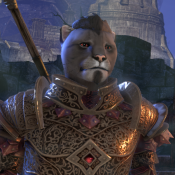 Seeing the argonian refugees work with native bosmer, khajiit, wood orc laborers and displaced humans from Southpoint has given many the faith in The Dominion it needs. Whether this faith is well-placed is yet to be seen. The project has hit many roadblocks, from Thalmor investigation and intervention to giant snakes devouring two of the workers. Once completed, the tavern, in it's place on Grahtwood's southern coast, will be a safe haven for outsiders of all races, faiths and origins. Primarily built on land, but surrounded by a semi-circle of docks, it will cater heavily to the seafaring sort, being an alternative port to the heavily guarded harbor of Haven. It's also said that multiple argonians in the Mire, such as Croaks-With-Toads, have been raising and training guar for some time now. Croaks-With-Toads assures prospective riders that his fast and sturdy creatures will make excellent mounts once their training is complete, however many of them still display some less than desirable traits-... Aggression, daftness, laziness, and a tendency toward mischief and loud noises have been noted in some so far. There is talk of a very small statured Khajiit running frantically from town to town, posting up the following rather interestingly decorated and handmade flyers on almost any available surface. Apparently, the ragged looking thing has even gone so far as to shove the handbills into the palms of almost any one who looks to be carrying a mage staff - Including those who simply are using a cane! We aim to spread appreciation of the magickal arts and provide fellowship to those mages in need of it. Through our fellowship, we aim to generate income for otherwise wayward mages and in so provide betterment for the community. All race and types of magick users are welcome. The Aetherial Consortium will be having an induction near the central gazebo in the city of Marbruk, located in Greenshade. This is an open event and all are encouraged to attend to converse with your fellow mages! This will be held on Turdas, 5th of First Seed. The Wamasu stalking the Xylo River area of Malabal Tor has grown, as has its reputation. The local bar owners now know of the beast, at least through rumors. Even as its infamy grows it also fades into the back, other gossip taking its place. Things seem to calm and most of Valenwood's hunters have generally avoided the area. Most bosmer either still scoff at the idea of such a large lizard and peg it as drunken tavern gossip or think it best to avoid the nonnative beast and its hunting grounds. Things calm in this manner for a week before one hunter finds the half eaten remains a bosmer and its apparent wolf companion. Copious amounts of blood that obviously was not of the bosmer or the dog soaked the ground. There were no tracks; as always with the best they disappear the day after its travels. Bringing back the remains the beast's reputation sparks. This is the first time it has been blamed for the death of something other than an animal. "Have you heard the tale of the Dark Lady? As the old stories go hers is... well, you'll see. Early in the First Era, as Ayleid culture began its decline, an improbable love blossomed between a Colovian prince and an Ayleid priestess. For her heresy Rahalat was condemned by the clergy of Mephala. While pregnant with the man’s child she was captured by the other priests, who proceeded to slowly flay her alive and consume her flesh shred by shred, limb by limb. 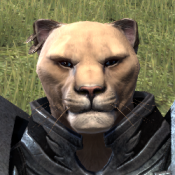 Obsessed with regaining physical form her spectre would roam Tamriel in search of the hapless and the unfortunate. She'd flay her victims one by one and create abominations from their mutilated corpses. Patchwork men stitched together with spidery thread. Today the Dark Lady is spoken of only in tales told to scare young folk, but there are those of us who know the truth. I dare not utter her name a third time." 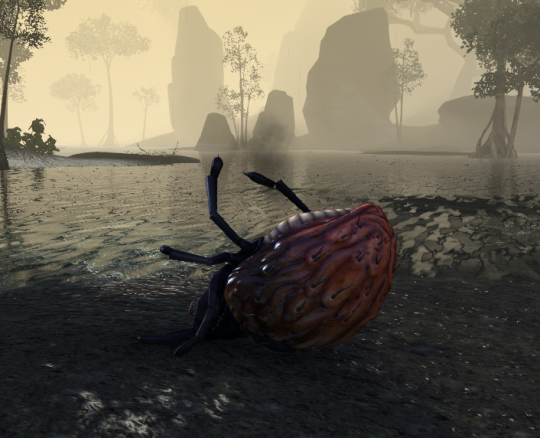 Those traveling between Marbruk and Woodhearth may notice with relief that the Shademist Moors are nearly void of the gigantic tick-like insects known as hoarvor. The sudden decline of the pests is welcomed by the local hunting population of Longhaven, though with the recent happenings involving vampires in the Moors, many are concerned that this may be a bad omen. These concerns are only further encouraged by the discovery of brittle hoarvor husks scattered about within the surrounding marshland, accompanied by pits of scorched land reeking strongly of sulfur close-by. An explosion was heard in the hills northeast of Cormount after reports came in from treetop scouts of a suspicious dunmer taking crates into an abandoned mine. Just about an hour after the explosion two bosmer hunters and an argonian warrior arrived in the city, all recognized by some as members of the Bramblescar Clan, with various wounds and four Gray Mire refugees behind them. The littlest of the refugees struggled to keep up, holding onto what was presumably the sword-wielding warrior's turtle-shell shield. The following investigation by Vinedusk Rangers revealed that a small force of Ebonheart Pact invaders had somehow gained ground through Reaper's March. Crates filled with armor and weapons were scattered through the mine, as were dark elf and nord corpses. Maps of Cormount's underground root system and the few remaining barrels of kindlepitch and firesalts revealed the darkest of intentions, they had intended to set fire to the city, and likely others, before launching a minor invasion. Many of the dark elf bodies were butchered and brutalized beyond necessity. A female, apparently a mage, had been decapitated, her head kicked all the way across the chamber to splatter blood against the stone wall. A male had his throat crushed then slit, both hands chopped off at some point in process. Another dark elf, younger than many of the others, had an arrow in his back, head twisted gruesomely after stumbling from a ledge. More noticable, however, was the broken and blackened tunnel filled with nearly ten incinerated corpses, the origin of the devastating explosion being a large stock-pile of the kindlepitch and firesalts. As news spreads, many within and around Cormount grow restless, wondering just how safe they really are in their forest and what they can do to make it safer.